I came across 100 Floors in the Play Store and I’ve been spending most of my afternoon trying not to become extremely frustrated with it. From the looks of it, it was just a simple puzzle game where the object is to solve a puzzle and use the elevator to advance onto the next floor. Well, it’s a tad bit harder than that. The puzzles are actually quite difficult at times and there’s no instructions or hints on how to solve some of them. Makes for some intense gameplay. 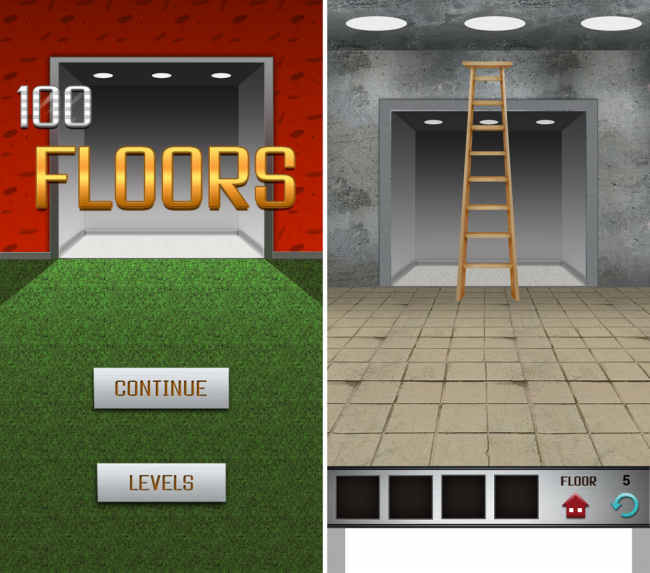 To get an idea of just how hard this game can become, do a quick Google search of 100 Floors. Results come back with hundreds of walk-through videos helping people beat this game. Folks must have become so flustered, the makers even published an official ‘Cheats’ application to help users. Give it a go and let us know if you think the frustration is worth it.